French football is back on the menu following the international break with all 20 teams in action between Friday and Sunday. There’s a real lack of standout fixtures with the exception of Friday’s tie between Lyon and St. Etienne. It’ll be interesting to see how second-bottom Monaco do away at a struggling Caen. Elsewhere, PSG are at home against Toulouse while Marseille’s away trip to Amiens brings the curtain down on week 14’s action. Memphis Depay had a hand in all four of Lyon’s goals as they ran out 4-2 winners away at Guingamp before the international break. This came right after manager Bruno Genesio gave the young Dutch star a bit of a tongue-lashing in front of teammates regarding his commitment to club rules. Lyon have put their poor start to the season behind them and are undefeated in four, winning three and drawing one. St. Etienne will be all too aware that a win against Lyon will see them move into the top four. They’ve won their last two fixtures, albeit against less glamorous opposition in the form of Angers and Reims – both of those wins came at home. Their away form has been far worse, only picking up one win on the road this season. With this in mind, back Lyon to do the business here at 11/20. Take PSG to on the Matchbet & Totals Over 4.5 and Home at 15/20. They’ve been different class this season and will cruise to victory over Toulouse. What a difference a few months makes! 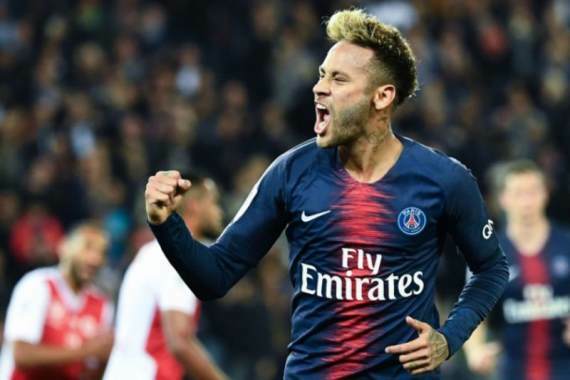 Dijon were flying at the start of the season, keeping pace with PSG at the top of the standings after winning all three of their opening fixtures. Since then, however, they’ve only picked up two points from 10 games. Defeat at Marseille last time out saw them drop into the relegation/play-off place. Bordeaux’s 0-0 draw with Caen last week would have put plenty of punters out of their multiples. They’ll need a big improvement this week when they take on the league’s most out of form outfit. You simply have to back Bordeaux here on the back of Dijon’s woeful form. Caen are another team who have struggled for form in the early parts of the season. They’re without a win in their last five outings but earned a very credible 0-0 draw away at Bordeaux before the international break. Fabien Mercadal will want his side to build on that result now with a win against an awful Monaco side. Monaco look like real relegation fodder this season. They sit second-bottom, level on points with rock-bottom Guingamp. They were handed a 4-0 pasting at home against PSG before the break. They’re all at sea right now and have struggled to maintain their performances after their squad is decimated at the end of every season. Their business model simply isn’t sustainable and they’re paying for it now. Back the hosts here. Strasbourg are undefeated in their last six league matches this season. They’ll be looking to convert more draws into wins though. They have the perfect opportunity to do just that this weekend as they welcome new boys Nimes to the Stade de la Meinau. Nimes hammered Dijon 4-0 away from home before being beaten by Nice on their home patch just before the international break. Nimes are another side who started the season strong but have struggled to maintain that intensity. Strasbourg look a good bet here. They’re undefeated in six and should get the job done. Nantes appears to have put a pretty poor start to the season behind them. They’ve picked up 10 points from a possible 12 in their last four matches, scoring 12 goals and conceding just three. They’ll be supremely confident heading into a fixture against an Angers side who have struggled defensively at times this season. Angers have no real form to speak of. They’ve drawn two, lost two and won one of their last five matches which make them an absolute nightmare to punt on. They claimed a shock 1-0 win over Montpellier before the break. A second successive win over more-fancied opposition seems a bridge too far, though. Nantes to win here. Reims certainly have been one of the surprise packages of the season so far. They sit ninth on the standings and have tasted defeat only once in their last six league outings. That defeat against St. Etienne was preceded by back-to-back wins against Stade Rennais and Monaco. Guingamp have actually improved over the last few match weeks but still find themselves rooted to the bottom of the table on goal difference. They’ve scored the second-fewest goals in the division and conceded the most which tells you everything you need to know. This fixture pits Ligue 1’s two lowest scoring teams against one another. Perhaps taking the Totals – Under 2.5 Goals is the way to go here at 5/10. Montpellier were disappointingly beaten before the international break by Angers. That was their first defeat in 12 matches and would have sounded alarm bells within a very talented squad. Expect them to come out against Rennes with renewed vigour this weekend. Stade Rennais have struggled for consistency this season with their Europa League commitments perhaps stretching their squad a bit thin. They’ll return this week raring to go but will probably find an away trip to Montpellier too much to overcome. Get on the home win here. Nice are on a great little run at the moment having won each of their last three league encounters 1-0. They’ll likely find things tough at home this weekend against Lille but will be confident of grabbing their fourth league win on the spin. Lille have been excellent this season and are full value for their second spot on the standings of Ligue 1. With that said, they have dropped points in each of their last two games, although a 2-1 away defeat at PSG isn’t too bad a result. The 0-0 home draw against Strasbourg will be of concern though. Nice’s last five matches have all ended with fewer than three goals scored. Follow this trend and back Under 2.5 Goals at 13/20. Despite Marseille’s poor away form this season, they should be far too good for Amiens. The southern club offer pretty good value here at 15/20.